If you're like the average couple then you'll likely spend up to 15 months planning your wedding. So why not embrace it and display it! 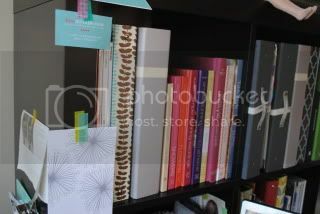 That's right – clear off an entire shelf and put all you wedding books, planners, and magazines on to it. That way, they are all together in one spot and easily accessible + they look pretty!